This is the unbelievable story of a security agent, who in a little over 12 years, managed to defraud one of the world’s largest multinationals of 24 million dollars in goods and cash. Jerome Jacobson had found a way to steal and discreetly re-sell winning tickets from the very well known Monopoly scratch card organised by McDonalds since 1987. An event which has attracted the attention of Hollywood producers who should be bringing it to the big screen soon. At the beginning of September 2001, the FBI agent Dent and his team were on the point of solving one of the most incredible frauds of recent years. 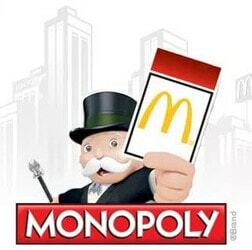 Alerted by Aly Murray, director of communications for McDonalds, the Federal agent had opened an investigation 5 years earlier based on suspicions of a possible fraud concerning tickets for the famous Monopoly scratch card game organised every year by the fast-food giant. The young woman was convinced that one of the winners of a card worth 1 million dollars had committed fraud and she told the FBI of her suspicions. This set off a long investigation which brought investigators back to 1989, to the beginning of a spectacular fraud. When it looked like he had a great career in the police force before him, Jacobson had to abandon this dream after only one year with the Florida police department. Paralysed by a sudden illness, he had to change career after several years of convalescence. Supported by his wife, he left Florida and moved to Atlanta, where he started a new career as a security agent at the start of the 1980’s. Things went well for Jacobson, whose superiors were pleased with his excellent service. In 1988, he was recruted as head of security by the firm, Simon Marketing, which had been appointed to print and distribute the tickets for McDonald’s new scratch card game. That’s when it all went wrong. Jacobson played an essential role in organising this internationally famous game. He had to put the tickets into sealed envelopes and make sure they were distributed to all McDonald’s restaurants in the United States and Canada. For this work the ex-policeman was well paid and wanted for nothing. But temptation was too strong. He gave in to it after some months. From 1989 onwards, he put in place a vast network that allowed him to pass on the stolen tickets. In exchange for these he received different amounts of money. For his first attempt, he sold a ticket worth $10 000 for $2 000. The fraud lasted 12 years during which the brains behind the network did business with several people with very different profiles. During his arrest, Jacobson revealed that he himself had discovered fraud organised by Simon Marketing. With different external accomplices, the company made sure that all the winners were in the United States. Until 2001, there weren’t any Canadian winners. But this didn’t allow the fraudster to avoid prison. He spent 15 years there and all of his assets were seized. But this isn’t the end of the story. Following publication of an article recounting the story on the 29th of July, several large American studios have declared their interest in acquiring the rights to adapt it for the screen. In the end, 20th Century Fox won out. It has been rumoured that Ben Affleck will direct the film with Matt Damon in the lead role.